Another unit has closed at 220 Central Park South — and like the others, there was no discount to be found. 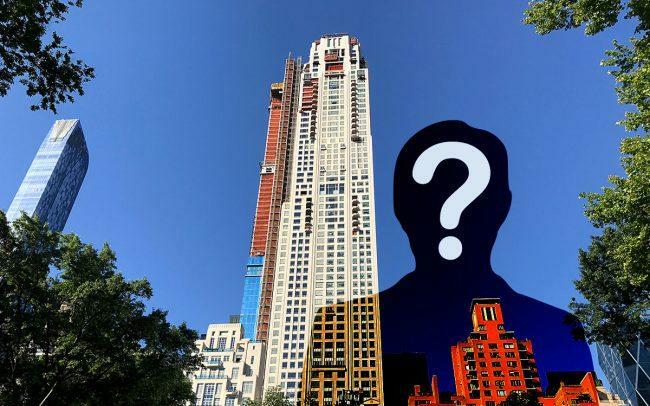 An anonymous buyer sealed the deal for Unit 42A, paying $23.7 million, according to records filed with New York City’s Department of Finance. The unit was asking $23.3 million, per the original condominium offering plan. The apartment spans 3,114 square feet and has three bedrooms. The sale price comes out to $7,618 per square foot. The buyer financed the purchase with a $17.3 million mortgage from Bank of America. Earlier this month, another anonymous buyer bought two units at the building on the same day. The unknown person bought unit 41A for $23.4 million, or roughly $7,500 per square foot, and unit 19G for $1.8 million, or roughly $3,600 per square foot. The 79-story limestone tower was developed by Vornado Realty Trust and designed by Robert A.M. Stern. Amenities include a wine cellar, juice bar, library, swimming pool, basketball court, and a golf simulator room. Closings at the building began in October. Vornado estimates profits at the condo to check in around $1 billion. The latest buyer will join billionaire hedge funder Ken Griffin, who bought the building’s penthouse for a record-breaking $238 million; hedge funder Daniel Ochs; investment executive Richard Leibovitch; Brazilian construction heiress Renata de Camargo Nascimento; debt-collection mogul Andrew Zaro; and Albert Behler, chairman and chief executive of real estate investment trust Paramount Group. All rights reserved © 2019	The Real Deal is a registered Trademark of Korangy Publishing Inc.